April 9-13th marks the fifth, semi-annual I Bike Rosemont week at Rosemont Elementary. I Bike Rosemont is a combined effort between Rosemont Elementary, parents, students and neighbors. The week consists of morning bike rides to school by parents and students. The riders get a card that is punched each day they ride their bike to school. 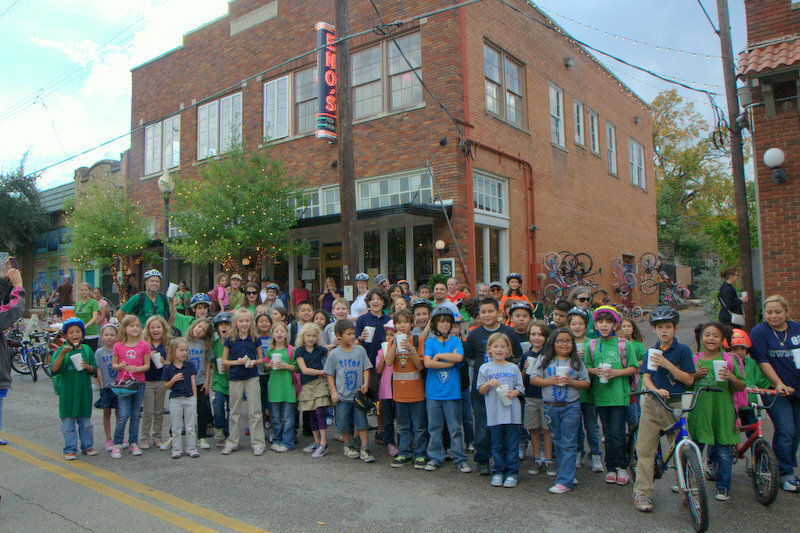 At the end of the week, the kids, their parents, volunteers and teachers participate in a group bike ride to Eno’s in Bishop Arts, where the kids turn their punch cards in for a free root beer float. In addition, there are prizes for riders, a t-shirt sale, and “bike rodeo” event to celebrate the culmination of the week’s activities. The two schools that make up Rosemont Elementary are ideally located in the middle of an urban neighborhood, with residents from all walks of life. I Bike Rosemont was started, in part, to increase bike ridership to school and to raise awareness for neighborhood riders. 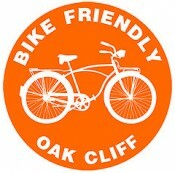 The number of riders grew from 5 in the first event to 140 on the last day of the fall 2011 bike week. But the numbers don’t tell the whole story. Each successive event sees an increase in the number of riders. Because of this, the I Bike Rosemont team could use additional volunteers and sponsorships. To participate in either, please contact Christian Johnson at christiancjohnson@gmail.com or 214-763-8767.